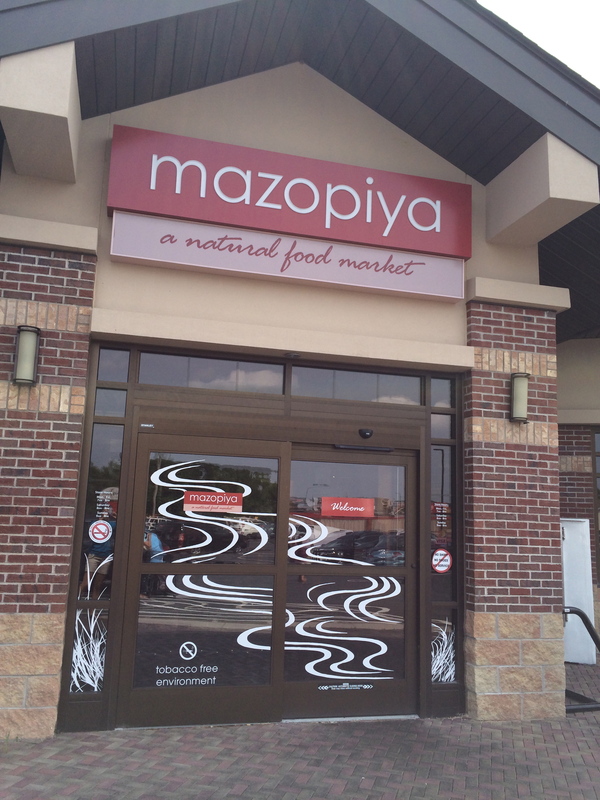 The amazing suite of food-related projects in the Shakopee Mdewakanton Sioux Community (SMSC) got its start when a tribal health care provider became determined to improve the reservation’s health statistics through food. 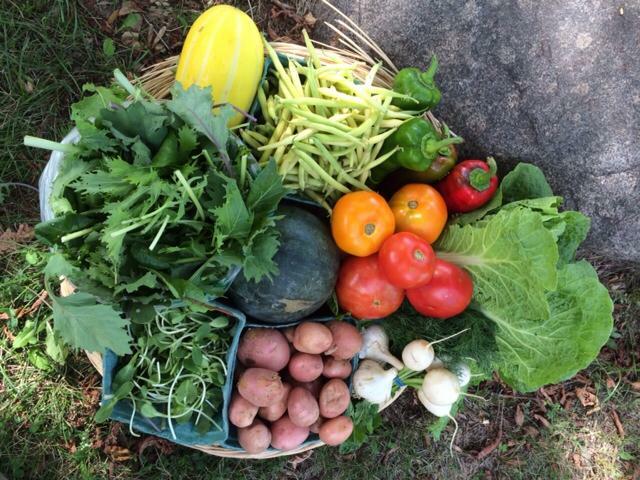 A few years later, the SMS community is now home to gardens, a health food store, a Tribally Supported Agriculture (TSA) program, youth cooking classes, and a variety of ways for tribal members and neighbors to access fresh, healthy food. The area now known as Minnesota has been home to the Dakota people for thousands of years. Among the people collective now known as Sioux (a name said to have come from the Ojibwe word for “snake”), historically, the Mdewakanton, Wahpeton, Wahpekute and Sisseton people comprised the Eastern (Santee) Dakota, while to the west lived the Yanktonai and Yankton (sometimes collectively referred to as the Nakota) and the Teton (Lakota) (like the Cheyenne River Sioux and the Lakotas of Pine Ridge we featured earlier). The Dakota lived across Minnesota, moving seasonally, cultivating corn, beans, and squash; gathering wild rice; and hunting. Hundreds of places in Minnesota still bear Dakota place names. This was interrupted with the arrival of Europeans in the 1600’s, including the French who allied with the Ojibway to gradually push the Dakota into southern Minnesota. US Soldiers arrived in 1805 at Mendota, where the Dakota were settled and over the next 50 years a series of treaties chipped away at Dakota homelands and their ability to provide for themselves. Lack of annuity payments, dishonest Indian agents and months of starvation led to the Dakota battling for their homelands in the 1862 US/Dakota War. The Dakota lost the war, and on the day after Christmas that year the largest mass execution in United States history took place, as 38 Dakota men were hanged in Mankato, MN. The remaining Dakota were forced to march 100 miles to Fort Snelling were they were held throughout the winter. The following year Congress rescinded all treaties with the Dakota and ordered their removal from Minnesota. A small number of Dakota people remained in Minnesota after the war, and in the 1880’s more began returning. In the 1890’s land was reacquired for the Mdewakanton Dakota in present day Prior Lake. Throughout most of the 20th century they lived on 250 acres in abject poverty. 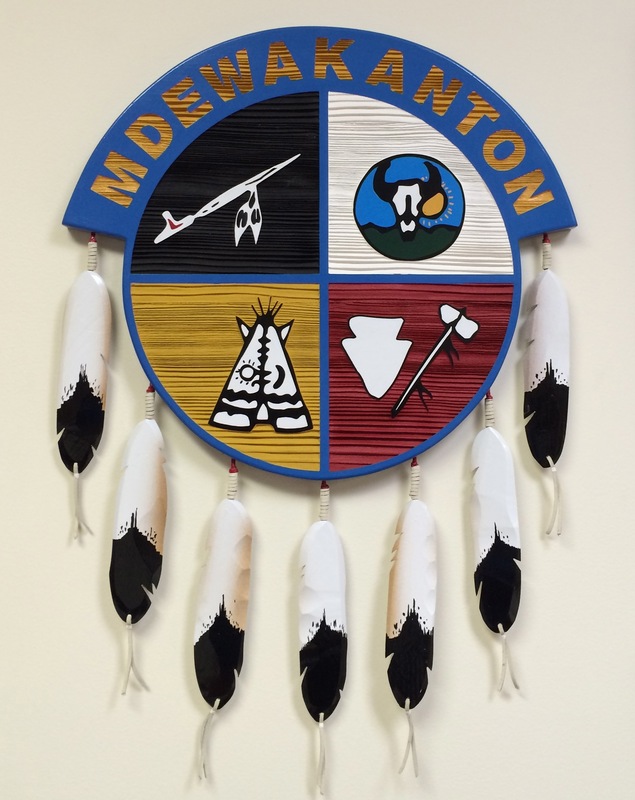 The Shakopee Mdewakanton Sioux Community (named for Chief Sakpe, which means “number six,” reportedly for the sextuplets his wife gave birth to) received federal recognition in 1969, and began developing tribal services. In 1982, they opened the Little Six Bingo Palace, which brought economic change to the community. 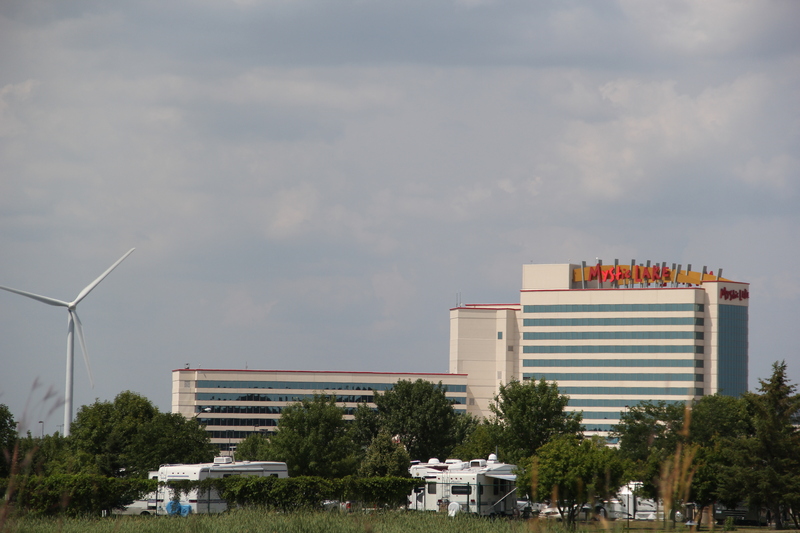 In 1992 the Mystic Lake Casino opened, and this, combined with a series of convenience stores, an RV park and a hotel, has made SMSC the wealthiest tribe in America.The tribe currently owns 3,760 acres, of which only 1,843 acres is in trust. As of the 2010 census, 658 people lived on the reservation or trust land. The SMSC is governed by the General Council, consisting of all enrolled SMSC members over 18, and the Business Council, consisting of three members elected every 4 years by the General Council, and responsible for the day to day operations of the tribe. The Business Council consists of a Chairman, Vice-chairman, and Secretary/Treasurer, a seat currently held by Lori Watso, who we interviewed on our trip to SMSC on August 6-7. Lori was educated as a nurse and worked in public health administration until she was elected as Secretary/Treasurer from 2000-2004. When her term ended, she and her husband moved to San Francisco, where she “gained a keener and a better understanding and appreciation for how food impacts our health,” especially because of the availability of fresh food there. 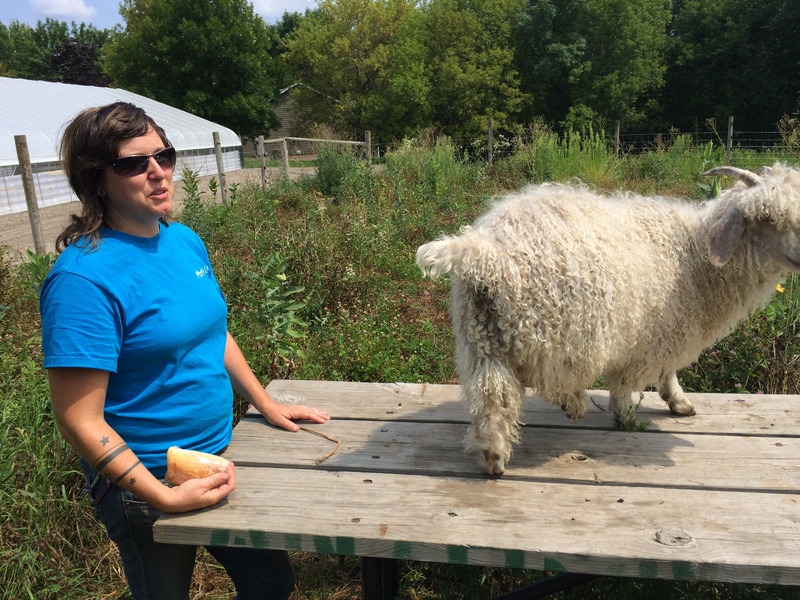 They then moved back to Minnesota, and Lori developed a determination to help her community with chronic health issues, through helping people to change their eating habits. Recognizing that this would be difficult, she approached the business council and said “I think we really just need to give people the opportunity to have clean food, so how about if we start a garden, an organically grown garden?” Much to her surprise they agreed to fund this idea, and in the Spring of 2010 Wozupi (Dakota for “a place where we plant”) began. 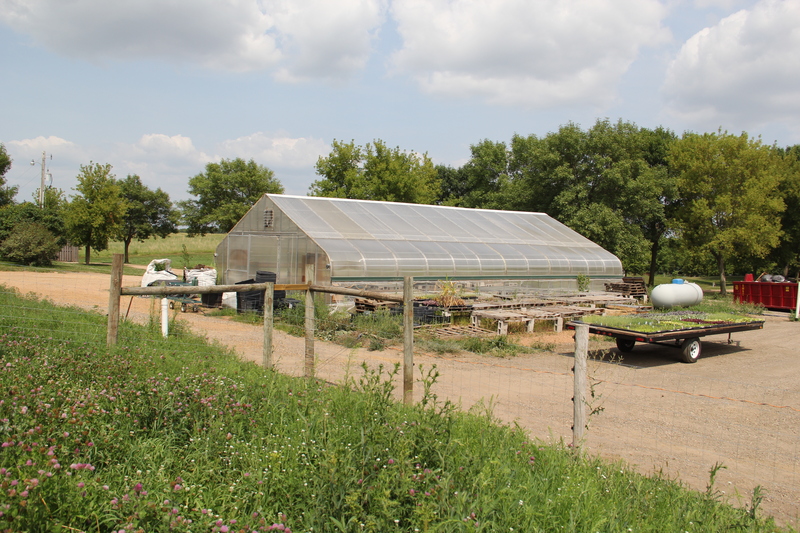 Lori connected with Sally Auger, who had founded Dream of Wild Health, as well as a University of Minnesota professor Bud Markhart who had been working with them, for assistance in setting up the garden. Bud connected them with Rebecca Yoshino, who had spent time working in organic farms in NY, WI, and MN, and she was hired as the garden manager. 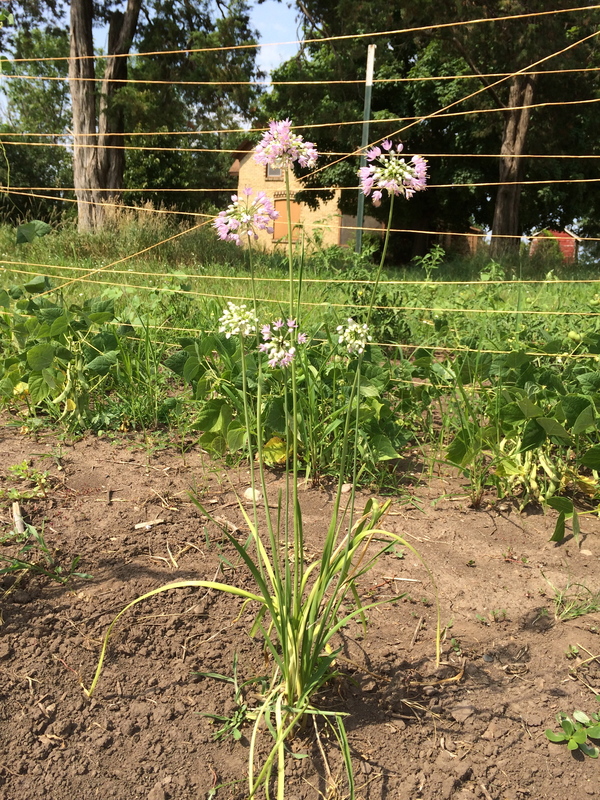 That first year, the garden was an acre and half. 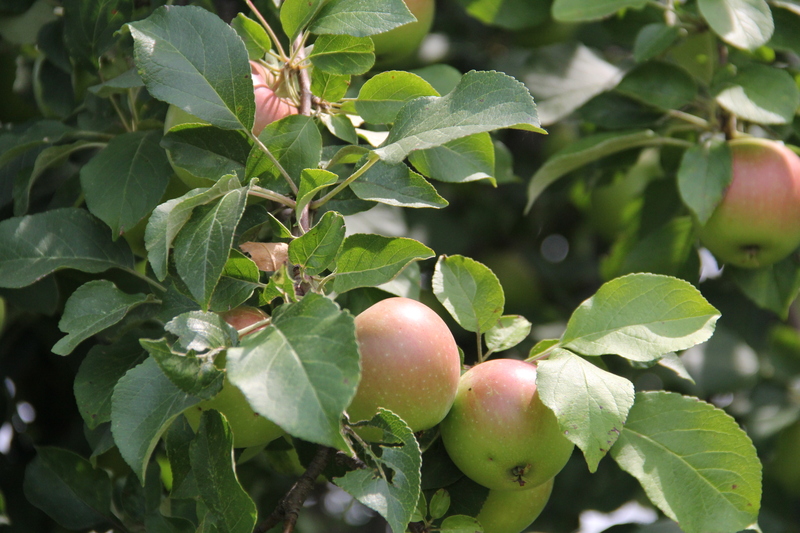 They also installed a 3.5 acre orchard, and a children’s garden. 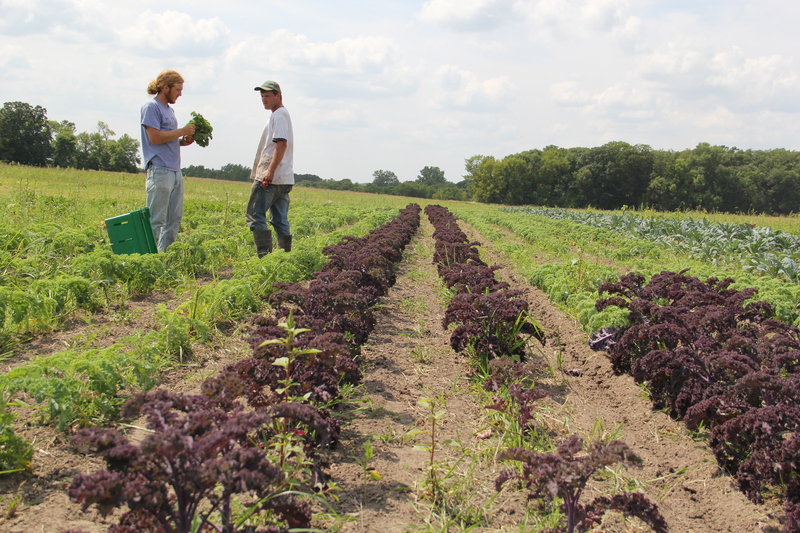 The garden is now in it’s fifth growing season, and has grown to 13 acres in production. 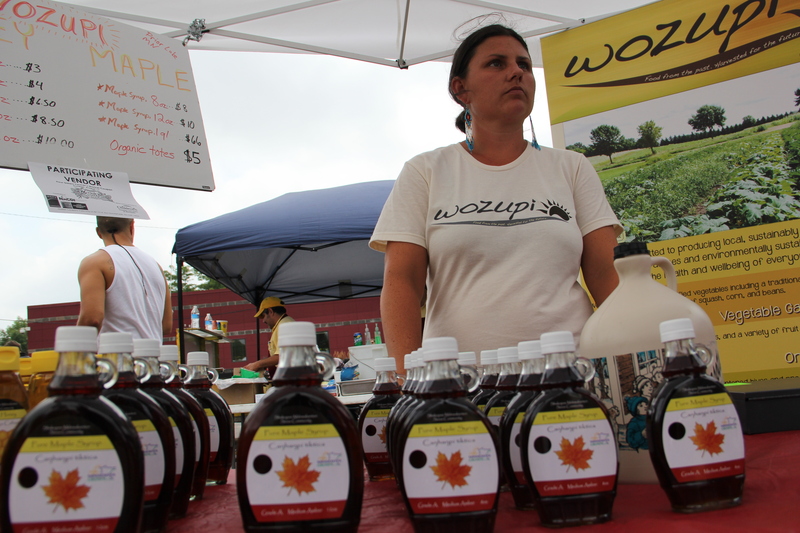 Wozupi as a program has come to encompass a number of projects: the gardens to produce food for sale in the community via 3 farmers markets and the Tribally Supported Agriculture program (TSA, instead of CSA); the heritage seed garden; youth programming (including a youth garden and cooking classes); chickens; a maple sugar bush and sugar shack; apiaries and a honey house; the orchard; and a series of classes to better educate the community about raising and preparing food. 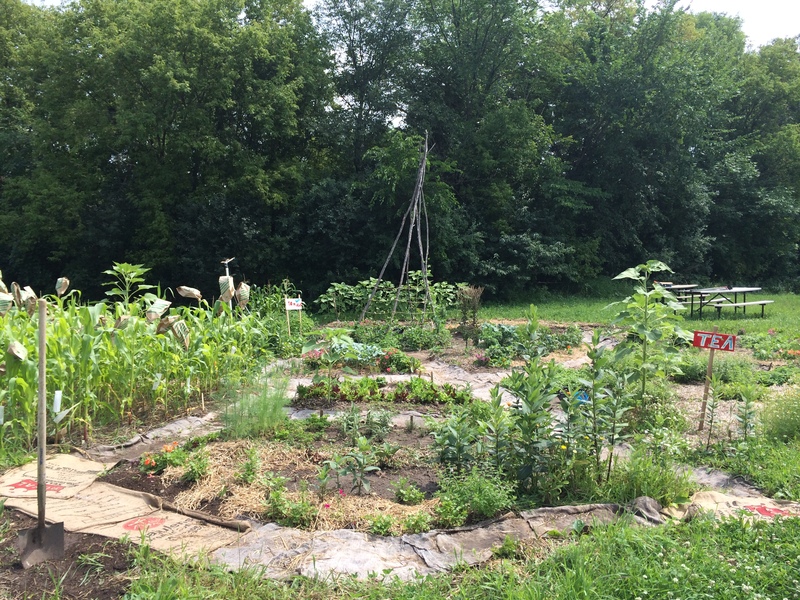 The youth garden is located directly behind Wozupi’s log cabin office. Working with Angelica Adams, the programs coordinator, tribal youth plan out, plant, and tend to the little garden three times a week as part of a four week summer program. 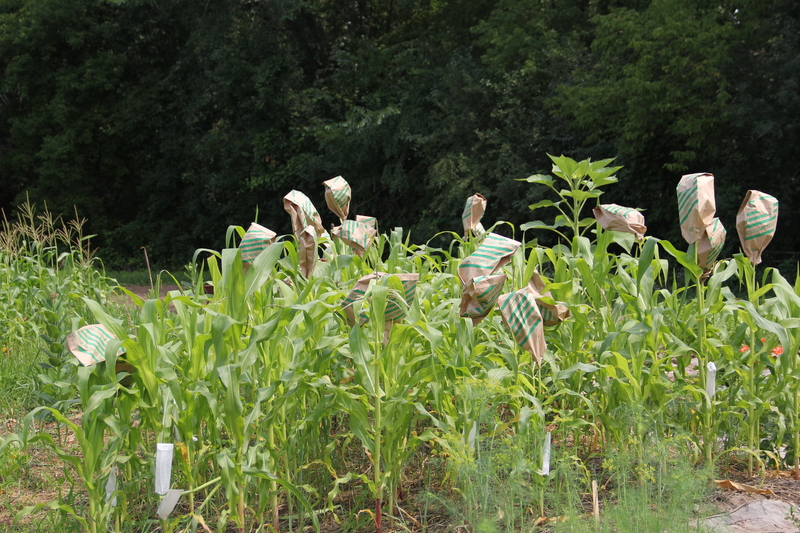 Youth from the tribe’s Playworks daycare program, the home school program, and Girl Scouts also work in the garden. 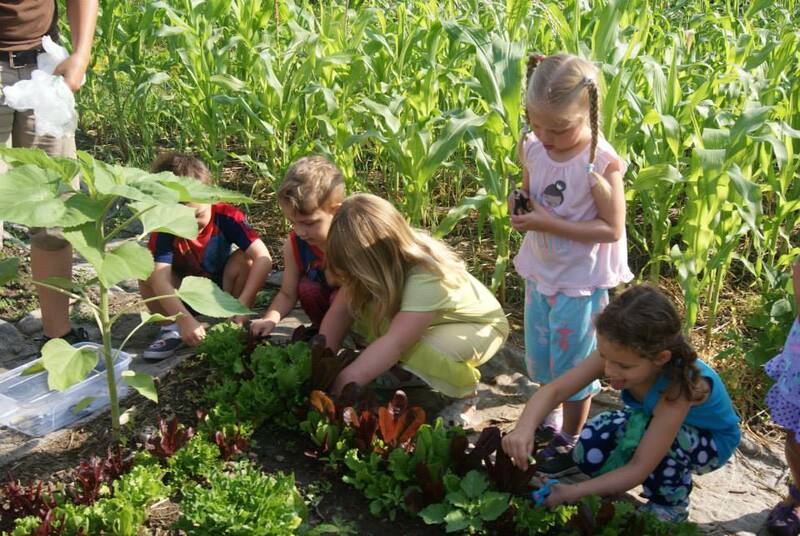 Vegetables are eaten raw right in the garden, and taken inside to the kitchen where Chef Jason Champagne teaches the kids how to prepare them into a meal. 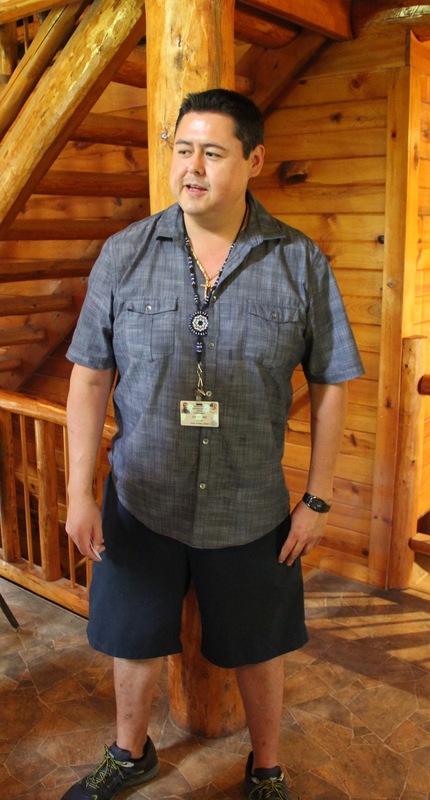 Chef Jason, who has a culinary degree from Le Cordon Bleu and a Masters degree in Public Health Nutrition from the University of Minnesota works as a Wellness Consultant for the tribe. While he has to contend with requests that he make foods like mozzarella sticks, biscuits and gravy, and mac and cheese, he has also worked to help the youth enjoy vegetables in their food. 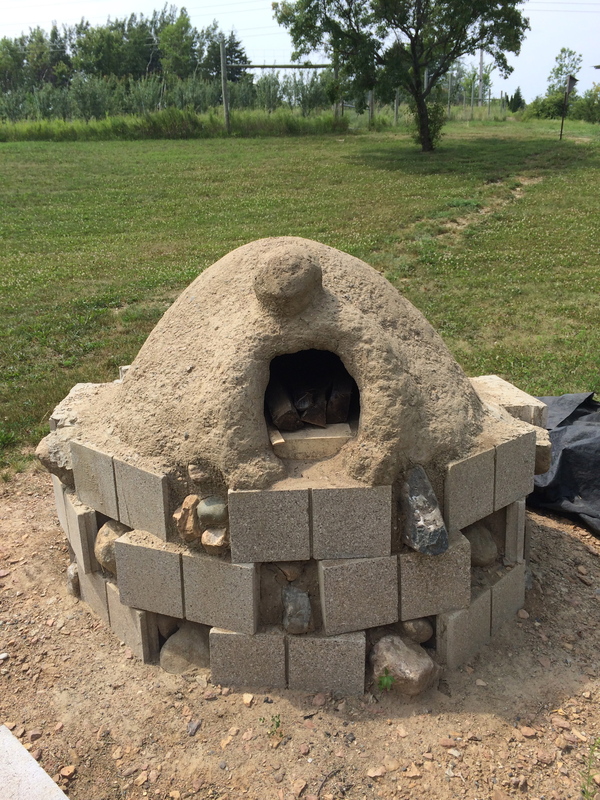 For example, they used the small adobe oven the kids built outside the summer before to make pizzas covered in veggies. 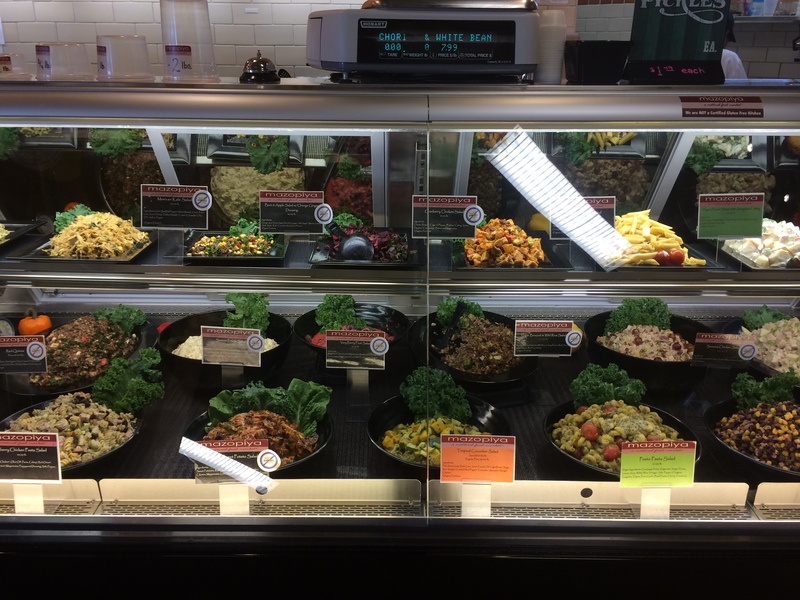 He’s taught them to make salsa, kale chips, steamed kale, and grilled and baked vegetables (and was actually surprised by how popular the steamed kale was). All the kids learn knife skills—the 5 year olds start with small paring knives, and the teen participants handle the chef knives. Chef Jason’s hope is that the youth will carry these skills and eating habits into the rest of their lives, leading to better community health outcomes. He is also planning on teaching community level cooking classes in the near future. 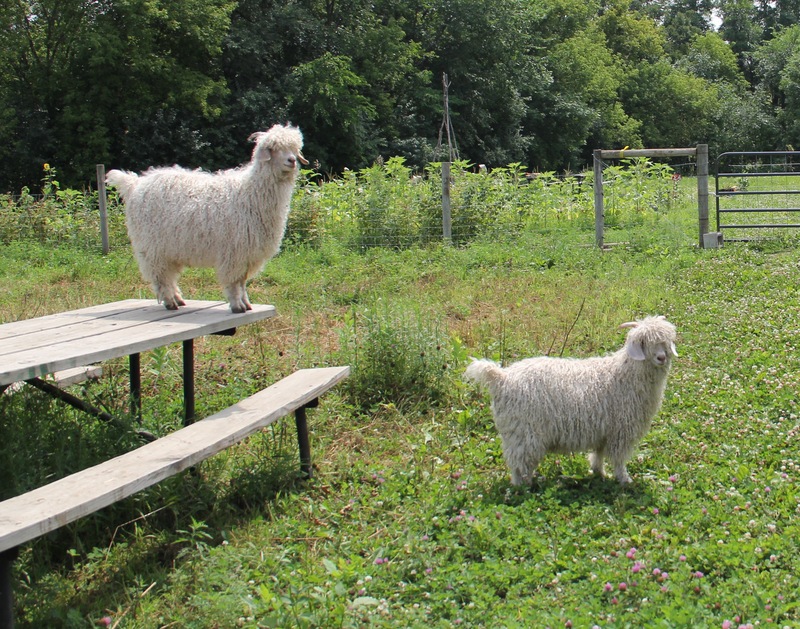 Next to the youth garden is the 3.5 acre organic orchard, 2/3 of which is apples, pears and apricots bred for zone 4 hardiness, and the other 1/3 is indigenous fruits—wild plums, hazelnuts, juneberries, chokecherries, elderberries. 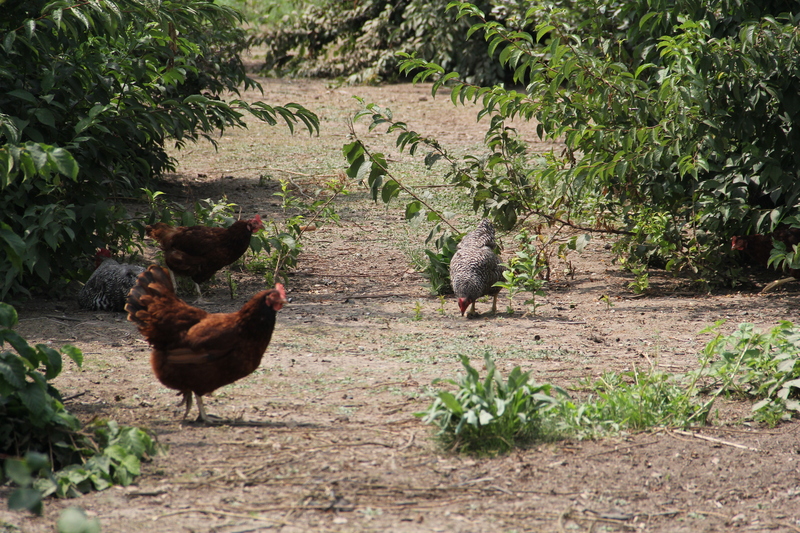 One of the biggest challenges in maintaining an organic orchard is pests, and so Rebecca decided to fence the free range chickens in the orchard, in the hopes that they would eat up any bugs that might bother the fruit. The eggs from the chickens are sold as shares for the TSA, and in stores. 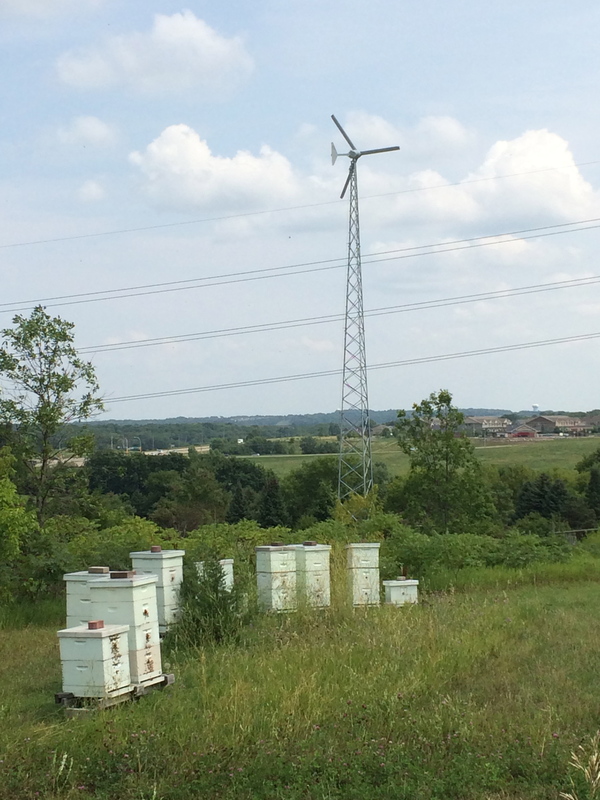 Up the hill from the orchard is a series of bee hives. There 6 apiaries around the community, with a total of 100 hives. 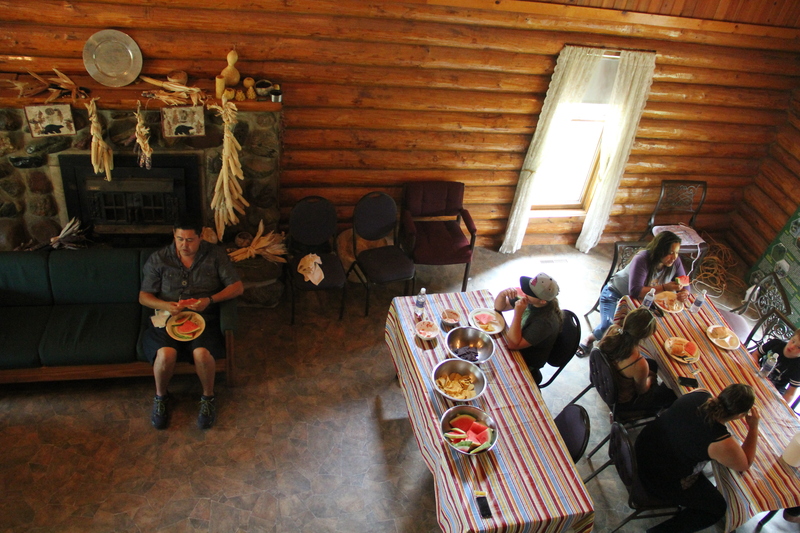 Over the summer, Wozupi hosts a guided intensive course in which people come out twice a month to work closely with the beekeeper on staff for a few hours. 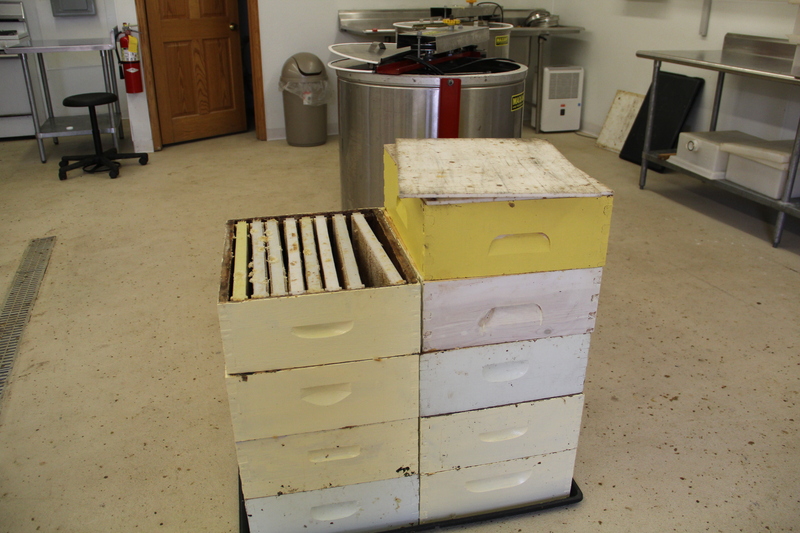 They are assigned a teaching hive, and at the end of the season they will harvest honey from there, minus what the bees need to survive the winter. In this way people who are interested in taking up beekeeping can learn more about it before investing in expensive equipment. The honey harvested by Wozupi staff goes to the honey house, where the combs are “decapped,” with a hot piece of metal, and the comb spun to remove the honey through centrifugal force. 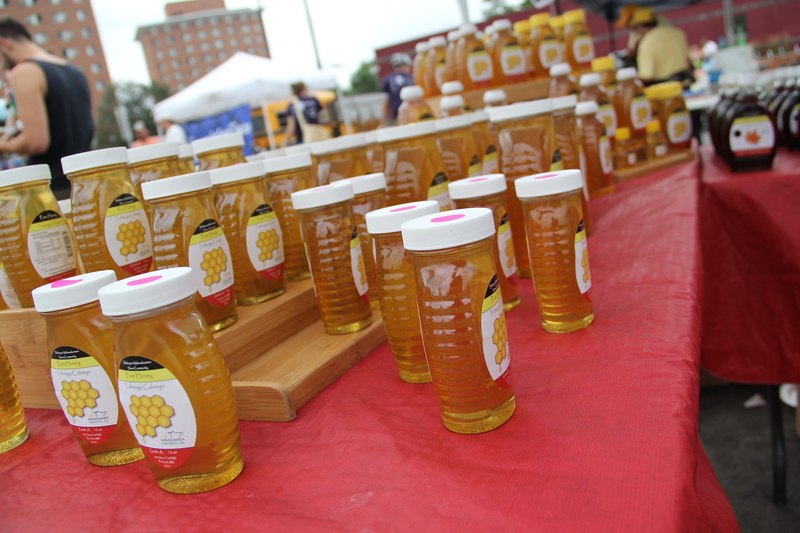 The honey goes through a filter, and is then bottled and sold. The community has about 5,000 maple trees, but not all of them are mature, or are on land where they are unable to install a vacuum pump system (which is usually left up throughout the year). 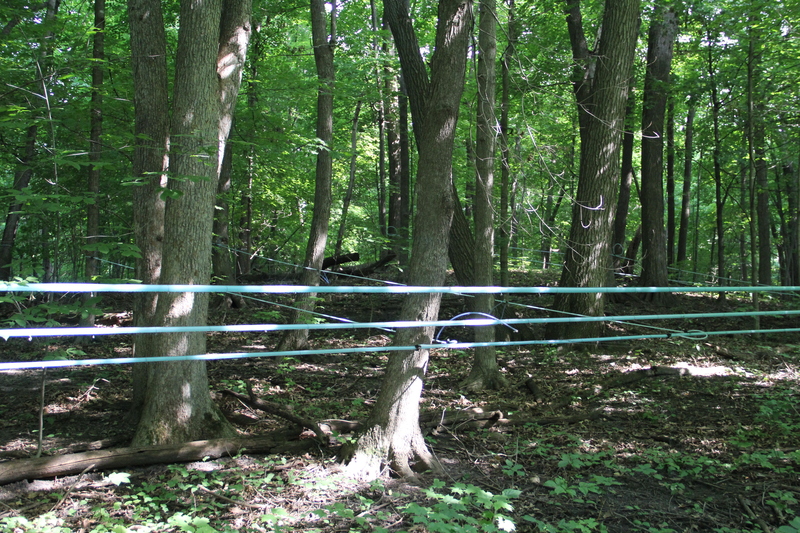 On one parcel where they do most of their sap collection Wozupi staff tap about 650 trees, which are then connected to tubing, that connects to main tubing, that connects to a vacuum pump. Rather than collecting sap from individual buckets hanging from trees, the sap from all of the trees is collected in one large tank, and then brought back to the sugar shack were it is poured into a reverse osmosis system. Wozupi started with a wood fired evaporator, but these must be monitored constantly to prevent burnt pans and ruined syrup. 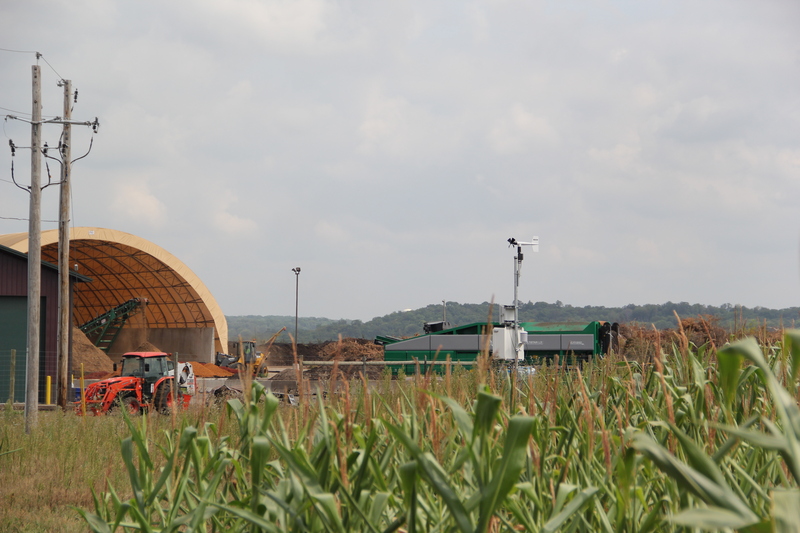 The RO system can be shut off at night, and the workers can go home. 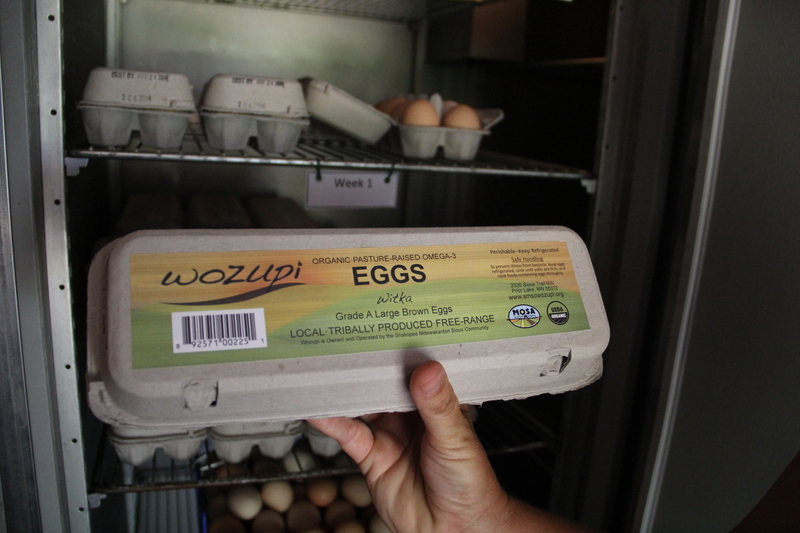 Much of the food produced by Wozupi goes towards their 18-week Tribally Supported Agriculture (TSA) program, which completed its fourth season this year. It grew quickly: the first year they sold around 30 shares, then 47 the second year, 120 the third year, and this year they had to cut it off at 200 shares. 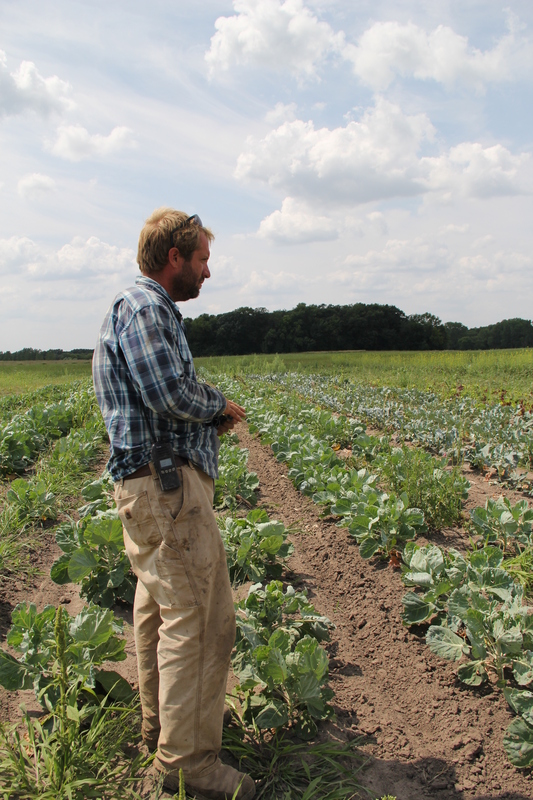 A full share is a three-quarter bushel box (for $575) and a half-share is a five-ninths bushel box for $320. 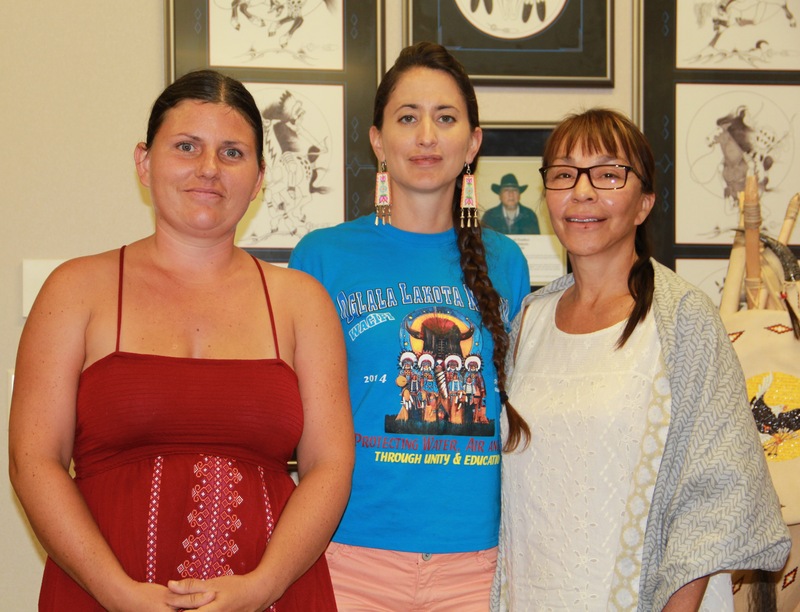 The program has a cost share program set up by the Business Council, which subsidized a number of shares for Native families in need within the county. Many of the participants are tribal employees, who can have the cost of the share deducted from their paycheck over the year, to help lessen the impact of the cost on their budget. 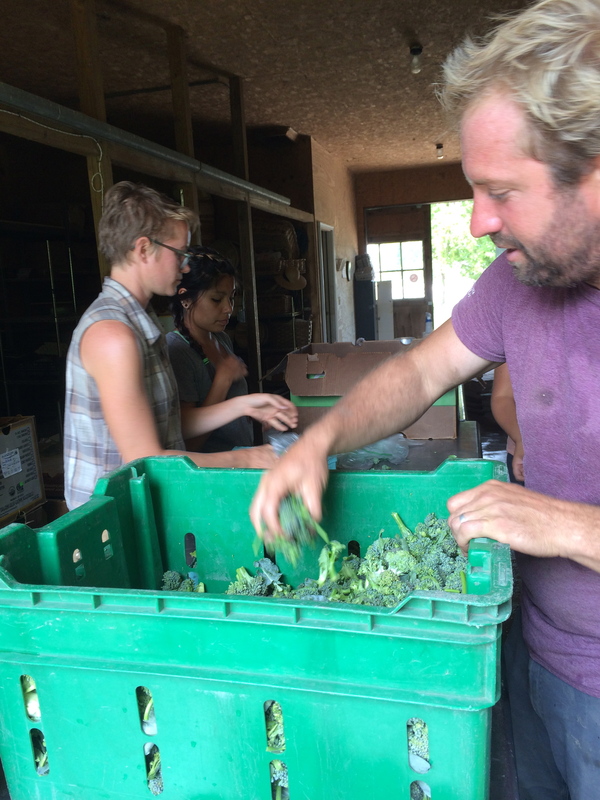 Leftover shares or shares that aren’t picked up are brought to the local CAP Agency which has a food shelf. 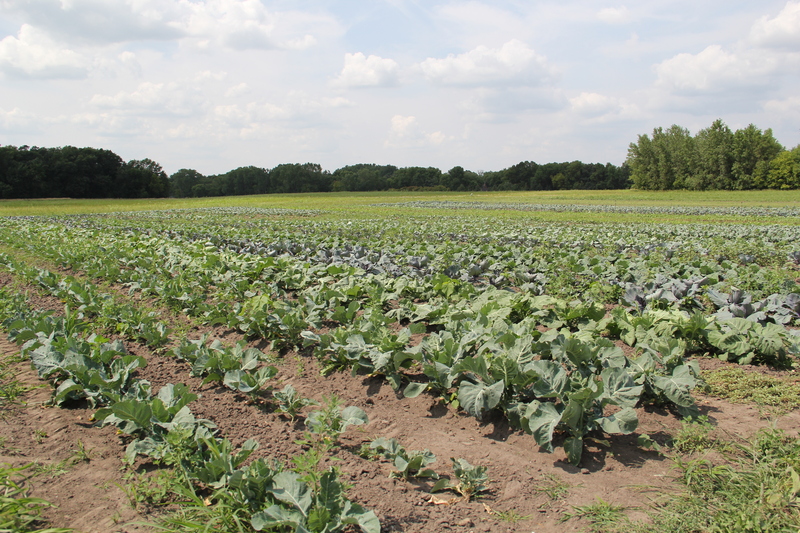 Each box includes a weekly newsletter, describing some of the seasonal challenges (this year’s cold wet spring and summer, followed by drought, proved challenging for crops like tomatoes), as well as recipes. 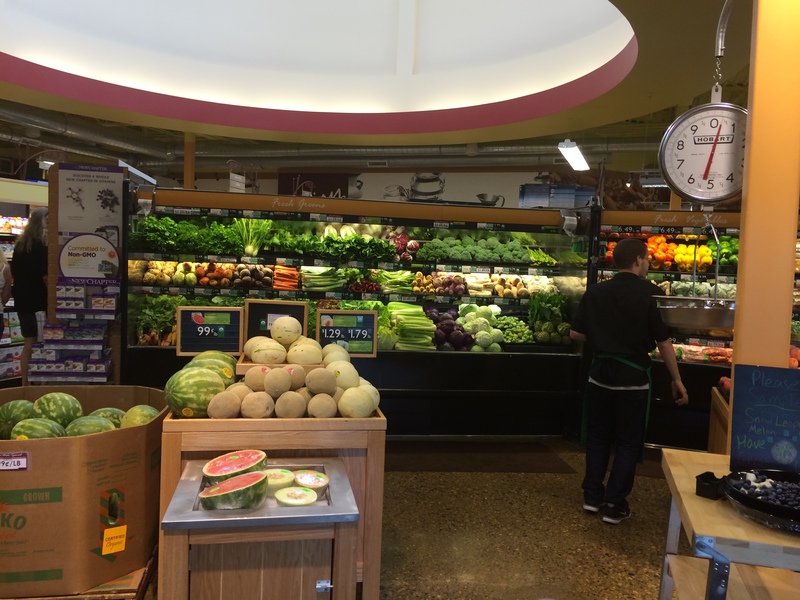 Food that doesn’t go into the boxes is sold at Mazopiya; to the education department to feed to youth; at the three farmers markets that Wozupi staff set up at (in the SMSC, in Prior Lake, and in Minneapolis); and any excess will be sold to the casino for use in their restaurant. 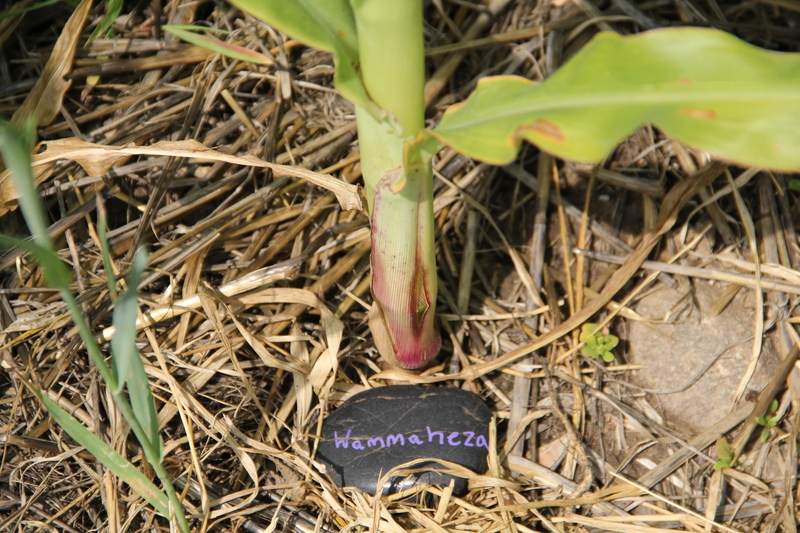 In addition to all of the food that Wozupi produces they are also growing crops just for seeds. 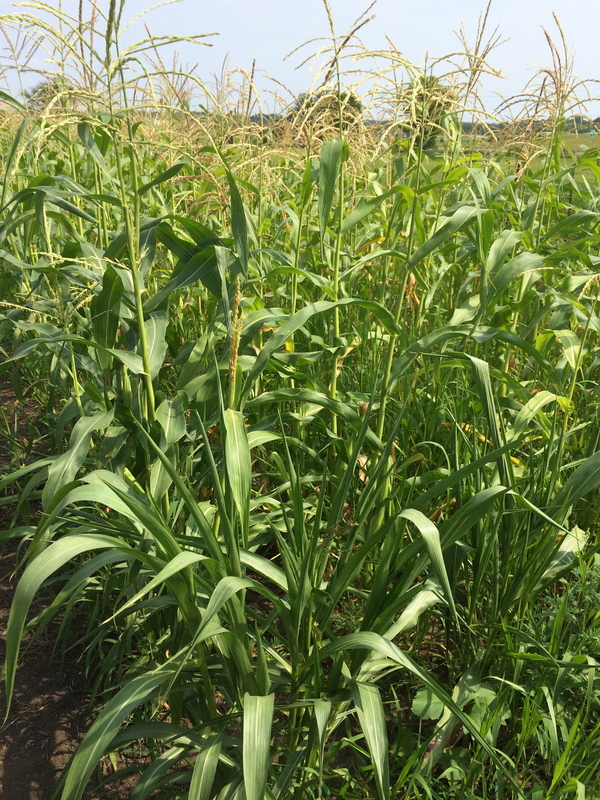 In addition the Dakota flour corn growing in the kids garden, there is also a separate seed garden that is relatively isolated from other crops. 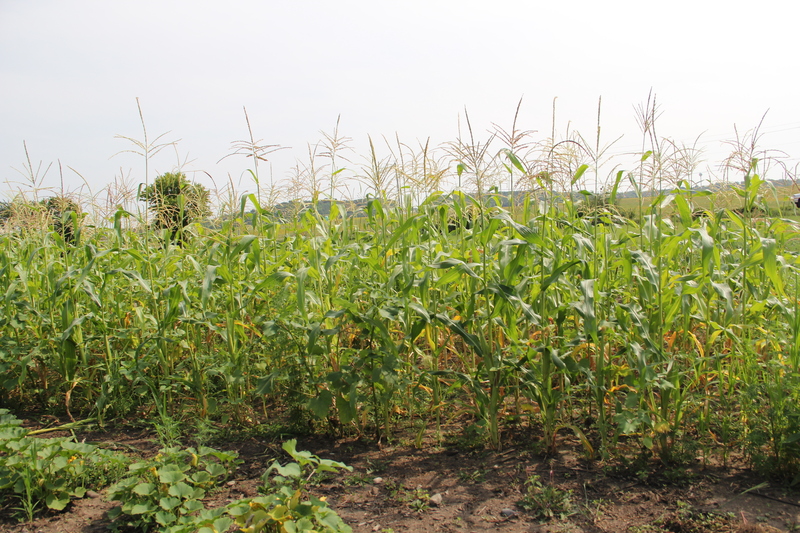 Here Rebecca is growing out a number of heritage varieties of beans and squash, as well as Lower Sioux corn, and wild prairie foods like onions and turnips. Seeds for this garden have come from Tesuque Pueblo’s farm program, as well as from other members of the Indigenous Seedkeepers Alliance, like Dream of Wild Health and White Earth Land Recovery Project and Scott Shoemaker at the Science Museum of Minnesota (post coming soon about our visit to see him). 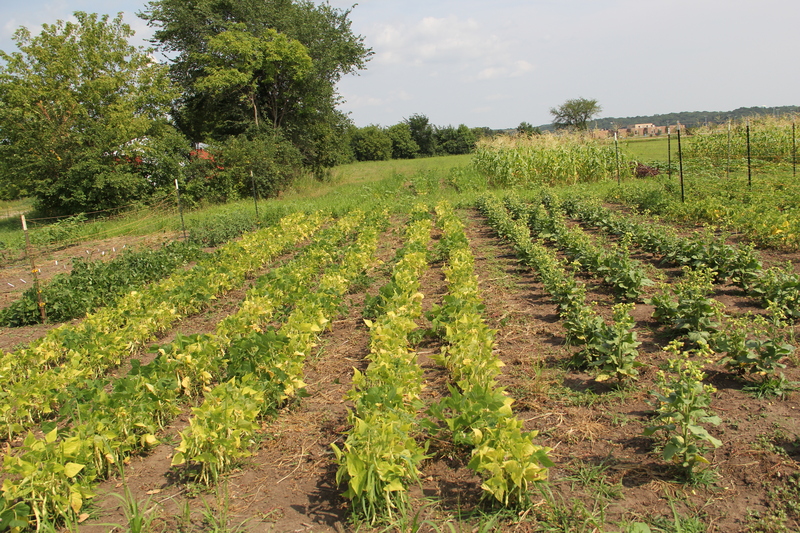 The seed garden is home to a variety of heritage seed beans, including Tepary beans, Hidatsa shield beans, Hopi women beans, and Cherokee Trail of Tears beans. Photo by Angelo Baca. UPDATE: the SMSC recently founded the Seeds of Native Health Seeds of Change project, a “Campaign for Indigenous Nutrition.” Seeds of Native Health is a “multifaceted national campaign to improve Native American nutrition and is supported by the Shakopee Mdewakanton Sioux Community.” Their goals are to “raise awareness, spread knowledge, create capacity for change, and develop additional solutions.” Partnering with the First Nations Development Institute, the Notah Begay III Foundation, and the University of Minnesota College of Food, Agricultural, and Natural Resource Sciences program, Seeds of Native Health will include “grant-making, sharing of best practices, capacity-building, sponsored research, and educational initiatives.” You can watch the press conference announcing the program here and read more about the launch of the project here.